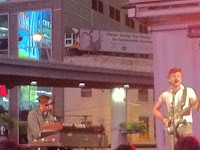 Yonge and Dundas Square might be the last place to come up in your mind for any indie shows. This year, Virgin Mobile, Now Magazine and City of Toronto collaborated and organized Indie Fridays at the busy intersection to promote the local indie bands. This year's last performance was Jason Collett and Zeus on September 9th, on Friday. Jason Collett was bitter about playing in the middle of capitalism and corporatism, surrounded by countless and meaningless billboards. "You are the most beautiful architecture in this (surrounding.)" Ironically exclaimed by Collett. However, he sweetened it up with his dulcet tunes, including "Love is a Dirty Word." When he performed one of his finest tunes, "Lonely Love," dedicating it to the former NDP leader, Jack Layton, it became the moment to remember for many who witnessed the performance. When the quartet returned to the stage after a long break between sets, the wait was definitely worthwhile. The 2010 Polaris short-list nominee performed a full hour set, while galvanizing eruption of energy, or even ear-gasm.Their tunes were so dedicated yet flamboyant.-From strip-down slow tunes, including "Great Times on the Wayside", to guitar fuelled up-temp pops, like "The Renegade. ", They basically outcasted on every genre that they performed. It was also very entertaining to watch a band with several lead singers. It added more spice to the performance, making each member very unique and exclusive. For the sense, Zeus is the next Sloan, the Canadian true collective quartet. 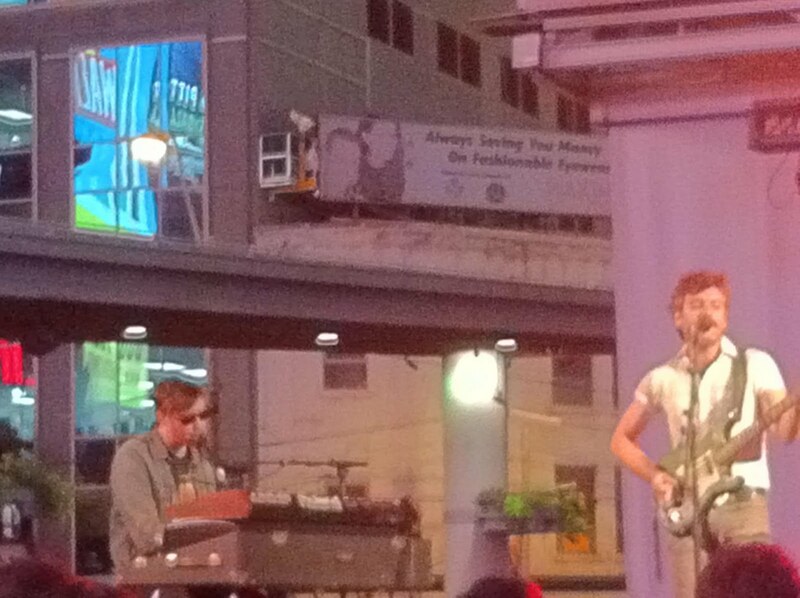 During their encore, they also performed a genisis cover of "That's All" and closed a fun night with great tunes. What a brilliant set that they pulled out. I am adding Zeus on my favorite artists list.